The Frog Street Toddler Curriculum is comprised of 52 weeks of engaging, developmentally-appropriate, easy-to-implement activities specifically created for children ages 18 to 24 months. 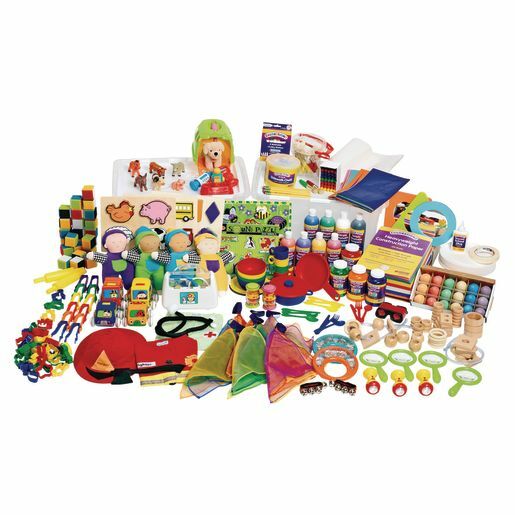 Discount School Supply's® supplementary activity materials are organized to support teachers easy program implementation with learning materials that are "not" included in the standard toddler kit. Products come in a 48 Quart Storage Bin. Items cover Enrichment, Starting the Day and Teaching Tips, Language Development, Cognitive Development, Social Emotional, and Physical Development.